Discover an amazing world of contrasts where the desert meets the sea. 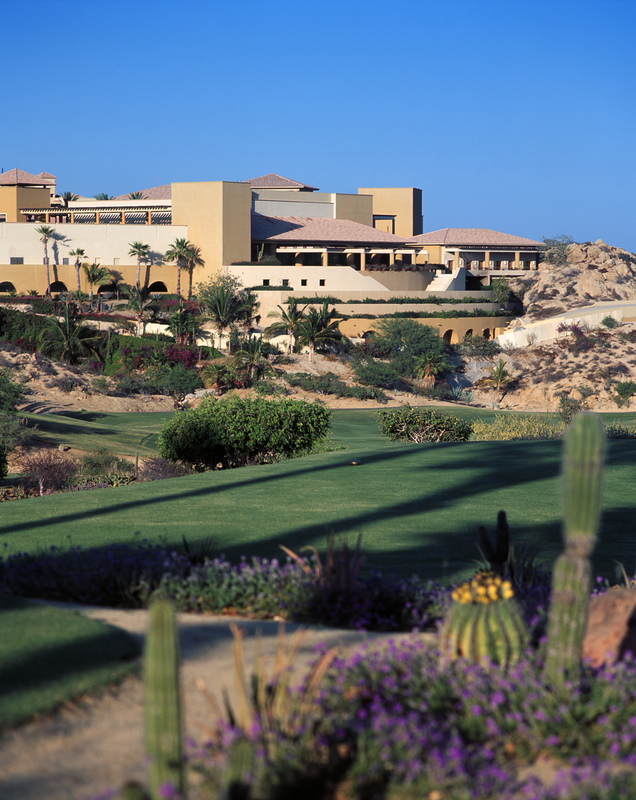 For your visit to this seductive and enchanting destination, choose the world-class Fiesta Americana Grand Los Cabos All Inclusive Golf & Spa, where your visit will be defined by exclusivity, luxury and distinction. The exceptional hotel helps you enjoy your vacation with Grand Style. You’ll be amazed by the subtle details and the diversity of flavors, aromas and colors that emerge throughout your stay. Every day is memorable and different. 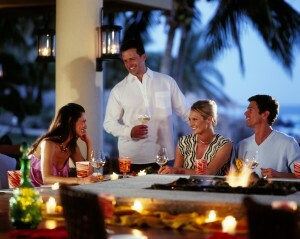 And there’s no better way to enjoy it than with the Grand All Inclusive concept. Your family and you will be delighted by our beautiful and supremely comfortable guest rooms, plus mealtimes that offer a culinary tour through the regions of Mexico with our seven à la carte restaurants, five bars including a swim-up bar, and 24-hour room service. Tempt your palate with exquisite traditional foods of Mexico plus a wide selection of dishes from around the world. There’s plenty to do with a calendar of cultural, artistic and recreational activities available all day long. The youngest of the family will spend their day at our Fiesta Kids Club, ideal for their entertainment and full of activities that develop the best of their abilities. The experiences are infinite and every family member will find something of interest within our All Inclusive services. Make your visit truly unforgettable, giving you a lifetime of memories to take home with you. Share these unforgettable moments with your beloved ones taking advantage of our free Wi-Fi service. Choose one of the most distinguished hotels in Los Cabos and enjoy the comfort and elegance its 249 rooms and suites have to offer. You will marvel at the spectacular view from the private balconies. 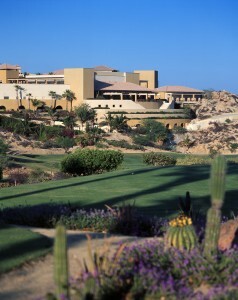 It is not a dream; the Sea of Cortez is yours during this incredible stay. Let us take you away to relaxation and beauty at our SOMMA WineSPA, the only spa in Los Cabos and Mexico that uses the benefits of wine in its treatments. Get a work-out at the modern and well-equipped gym or take advantage of a variety of activities in the sea or on land: fishing, diving, tennis, horseback riding or motorcycling. Fiesta Americana Grand Los Cabos All Inclusive Golf & Spa ranks in the top 10 of Golf Digest magazine’s list of the “Top 50 Best Golf Hotels in the World.” It is the most exclusive hotel in Baja California with access to the two championship golf courses of Cabo del Sol Golf Club, including the famous Jack Nicklaus Ocean Course, listed as one of the top 100 golf courses outside the U.S., and the Cabo del Sol Desert Course, known as one of the best courses in Mexico. 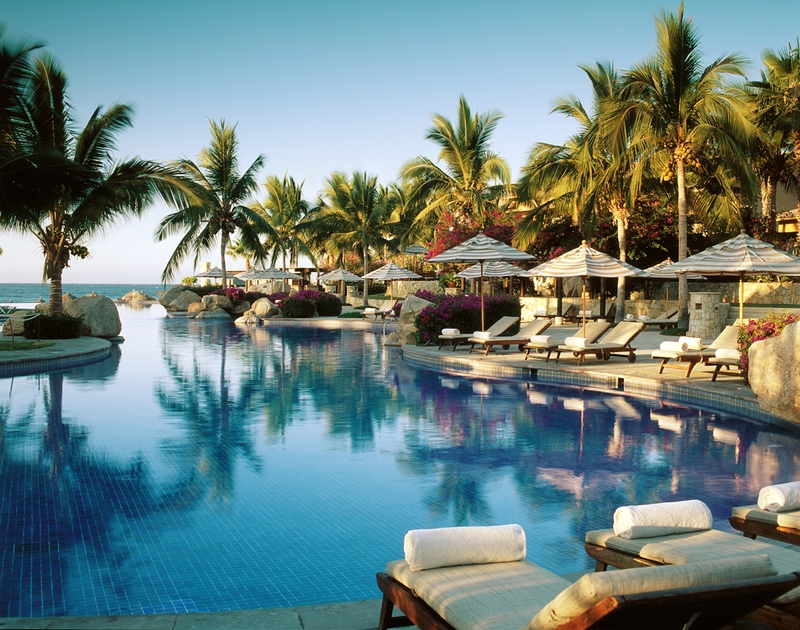 Book now for savings up to 40%, $40 daily resort credit, and $40 tour credit at the Fiesta Americana Grand Los Cabos All Inclusive Golf & Spa, and see all the great deals on Fiesta Americana Resorts at GOGO Vacations.